After four students in Germany were sickened by E. coli O104:H4 infections, tests indicate that 22 out of 30 children at the same school were also infected with the outbreak strain but had no symptoms, health officials reported last week. Symptomless E. coli infection was also found in three kitchen workers at the school, four child care employees at four different day-care centres in the same district and three workers at the catering company that supplied school food. Although it is believed the children’s infections resulted from foodborne rather than person-to-person spread, such a significant proportion of germ ‘carriers’ relating to this organism poses a risk of further outbreaks especially if those carriers work with food. The estimated eight-day incubation period for the O104:H4 strain is longer than that of most toxin-producing E. coli infections which may indicate a low infectious dose increasing the likelihood of person-to-person spread. However, so far person-to-person transmission does not appear to have been a major factor in the spread of the epidemic. Although the European Centre for Disease Control (ECDC) reported a decline in the number of O104 cases in Germany in the last two weeks, it noted that new cases and clusters are continuing to be reported, despite the identification of sprouts as the most likely source of the outbreak that has caused more than 3,800 illnesses and at least 45 deaths. Since the European Food Safety Authority implicated contaminated fenugreek seeds imported from Egypt, the European Commission recalled and temporarily banned the import of certain types of seeds used for sprouting. 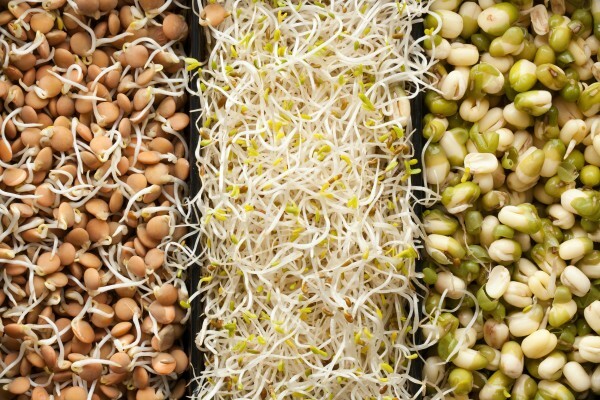 It also has warned consumers not to grow their own sprouts for consumption or to eat sprouts unless they are cooked thoroughly. New cases are expected to arise as the result of other contaminated foods and contaminated seeds still in circulation.